Solid rock, plastic, rubber, mica, mica, asbestos, marble, porcelain, glass, sulfur, mainly used for winding motor, electrical insulation, switch plate and insulator etc.. Organic insulating materials: shellac, resin, rubber, paper, cotton, linen, rayon, mostly used in the manufacture of insulating paint, winding insulation coating etc. This standard specifies the method for measuring the volume resistivity of liquid plasticizer. This standard is applicable to the measurement of the volume resistivity of the liquid plasticizer. Other liquid additives can also be referred to this method. The ratio of the DC electric field intensity to the current density in the direction of the volume current of the sample is expressed in Omega? M.
3.1 the sample of liquid plasticizer is about 40ml each time. 3.2 samples should be free of bubbles and impurities. The 3.3 sample should be placed above 2H under the condition of temperature 23 + 2 C and relative humidity 60-70%. U resistance measurement range 10K ohm (4 power) to 100T 100T (14 Power); (directly draw resistance not to calculate) exceed the need to calculate the maximum to the 18 time (need to calculate resistance). 4.1 read the instructions before use, and follow the instructions step in operation. 4.2 do not use the accessories provided by the non original factory in order to avoid the danger. 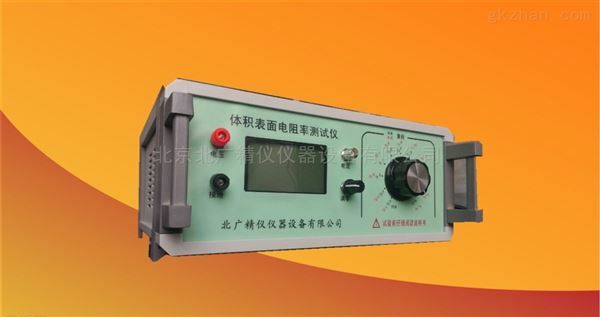 4.3 when the test is carried out, the high voltage output of the high voltage output end of the instrument is on the end of the instrument, and the human contact is strictly forbidden, so as to avoid the electric shock. 4.4 in order to avoid the error caused by the insulation leakage test bar itself, the instrument for measuring input test bar should be suspended, do not collide with the external object. 4.5 when the insulation resistance of the measured object is high and the indicator is unstable, the clamp of the instrument measurement line can be attached. For example, for the insulation of cable core and cable shell, the two ends of the tested object are connected to the input terminal and the high voltage terminal respectively. Then the inner insulation of the cable core and the core is connected to the instrument "G" to eliminate the measurement error caused by the leakage of the surface. It can also be used with a shielding box, which is placed in a metal shield box and attached to the measuring line. The relative temperature is less than 70%. Select the appropriate range ratio according to the resistance value of the sample and the high voltage value of the direct current. (4) indicating the instrument to indicate the insulation resistance measured. The power supply is supplied to each part of the instrument.